The Italy you would not expect, Reggio Calabria and its province, little known by the greatest majority of tourists, both international, but even national, yet it is there, waiting to be discovered and appreciated for its absolutely unique treasures, a legacy of its Magna Graecia past, but also of the many peoples who have ruled over these lands where time seems to stand still: Greeks, Romans, Visigoths, Normans, Spanish, French, etc… They have all left their indelible mark, but its true heart and soul, however, remains inextricably Greek. 1 ° D. REGGIO CALABRIA-SCILLA Morning guided tour of Reggio Calabria,the Museum with the famous Bronze Statues, the promenade defined by Gabriele D'Annunzio the most beautiful kilometer in Italy, the Roman Baths, the Greek walls and the Cathedral. 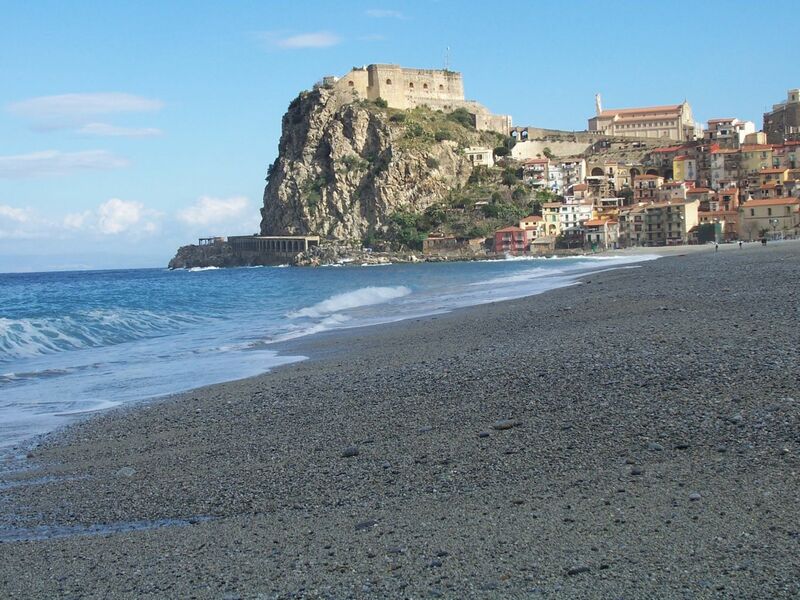 In the afternoon, excursion to visit Scylla and Chianalea (ancient village of fishermen), the Ruffo Castle, the lookout. Return to the hotel. 2 ° D. REGGIO CALABRIA-PENTEDATTILO Departure and visit of Pentedattilo, suggestive abandoned village, perched on a cliff by the characteristic shape of a hand. 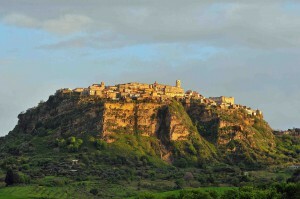 The village, situated on a hill with a beautiful landscape with an almost lunar atmosphere, is evocative of ancient tragedies, in particular, his fame is linked to the tragedy of the Alberti family.The village is immersed and surrounded by the typical Mediterranean vegetation, characterized by prickly pears, agave, etc ... Return to the hotel. 3 ° D. REGGIO CALABRIA-GERACE Departure for Gerace and visit of the medieval town: the Cathedral, the treasures of the Cathedral, the church of San Francesco, the beautiful Baroque altar, the Norman Castle. In the afternoon, visit of Locri and the remains of its glorious past: the Museum, greek the temple of Marasà. Return to the hotel. 4 ° D.: REGGIO CALABRIA-SANT'ELIA-PALMI In the morning, departure for Palmi and visit the Museum of Ethnography and Folklore (House of Culture). On the way back along the Costa Viola, the coast between Scylla and Palmi, we will stop on Mount St. Elias to admire the breathtaking landscape on the Tyrrhenian sea: the Strait of Messina, Punta Peloro Capo Milazzo, the Aeolian Islands.Return the hotel. 5 ° D. REGGIO CALABRIA-STILO Check out and visit of the old town of Stilo and the famous Byzantine Basilica "The Catholic. ", dating from the x century AD, is one of the most significant symbols of the Basilian monasticism, with its splendid frescoes inside, today, unfortunately in a precarious state of conservation, but equally reminiscent of the deep sacredness and spirituality of the Basilian monks.Return to the hotel. 6 ° D.: PIZZO-TROPEA Departure for Tropea and Pizzo. Arrival in Pizzo and visit OF the Church of Piedigrotta, charming and unique in its kind, as it is excavated in sandstone, a few meters away from the sea. You will then visit the Aragonese Castle, infamous for Murat's execution .We then continue to Tropea where you will visit the Cathedral, the main street with its Belvedere over the Tyrrhenian Sea and the Sant Maria of the island. Return to the hotel. 7 ° G. REGGIO CALABRIA-GAMBARIE Today we visit Gambarie on the Aspromonte Mountains. Here you can see the "Cippo di Garibaldi", the pine-tree where Garibaldi sat when he was wounded.The protected area is the central point of the mountain range, dominated by the peak of Montalto,which with its 1956 meters, it is the highest peak, one of the most scenic spots. Aspromonte enjoys a very diverse environment where the Mediterranean Maquis gives way to dense forests. 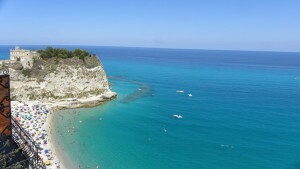 Hidden Italy Tour: Italy's best kept secret....Calabria!